Teacher's Day 2013 - Cupcakes, Cupcakes and MORE Cupcakes! This year, I made so many cupcakes and I think I lost count! There were trays and trays of vanilla and chocolate cupcakes every other day, it was good that we could stagger the deliveries - school teachers on Weds and enrichment teachers on Fri and Sat of the week. For these cupcakes, I had the chance to venture into making Swiss Meringue Buttercream for the first time! I wanted to let the teachers try something different (from the cupcakes that the boys would be giving out) at the lunch, so I bit the bullet and got to work. 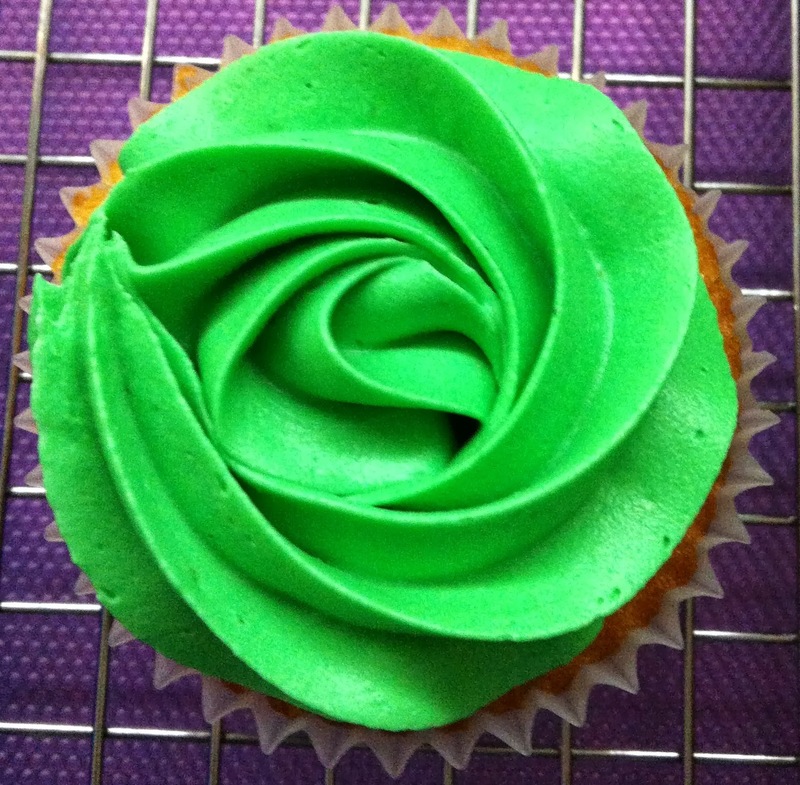 The Swiss Meringue Buttercream turned out very well and it was really yummy! 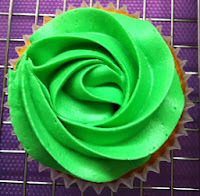 Hey, I managed to do the Baking Bees Perfect Swirl with Swiss Meringue Buttercream! Success! For the P2 and P3 boys, the principal, vice-principal, form teachers and chinese teachers received a box of 4 cupcakes each - 2 vanilla and 2 chocolate, decorated with hand crafted floral accents and message stars stamped with "THANK YOU" & "YOU ARE NO. 1". Other subject teachers received a box of 3 cupcakes each. All made with the signature Baking Bees Perfect Swirl with American Buttercream. Similarly, the violin and cello teachers at Mandeville Music Conservatory received 4 cupcakes in a box. The aural teacher and piano accompaniment teachers received 3 each. Marymount Kindergarten principal and teachers received 3 each too! Actually I know that Ascensius' form teacher does not eat cake! Hahaha! Confucius Institute chinese teachers have been teaching the 3 boys for a few years now. To make them more special, I printed the boys' chinese names and added tiny little hearts as decoration, together with the hand crafted floral accents and hand stamped stars with message. Heartfelt thanks to all the teachers, for all your hard work and dedication!